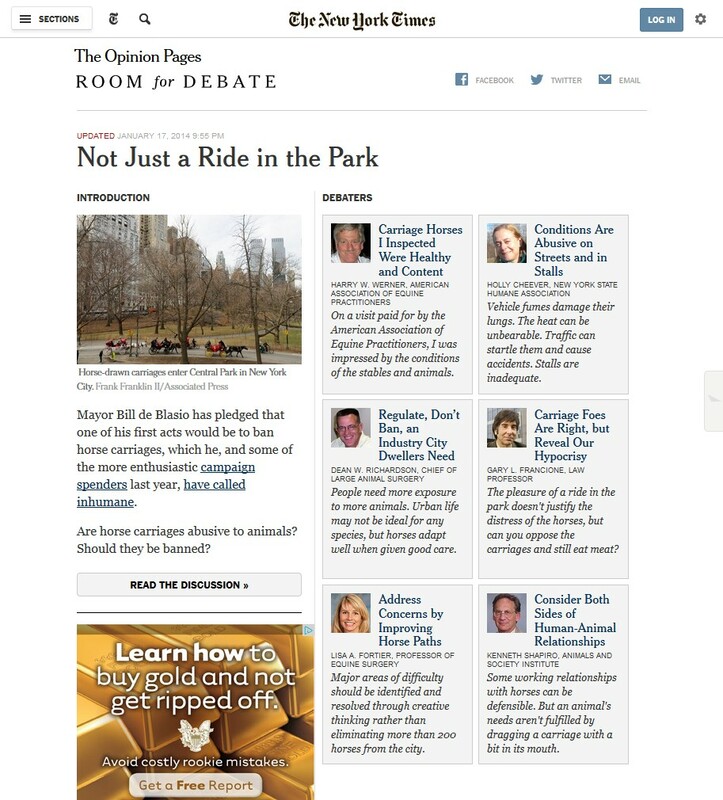 The New York Times Room for Debate examined the issue of carriage horses in New York City in light of Mayor de Blasio’s pledge to ban them. Professor Francione is Interviewed About Abolitionist Animal Rights on “Breaking... Animal Ethics: Abolition, Regulation, or Citizenship?